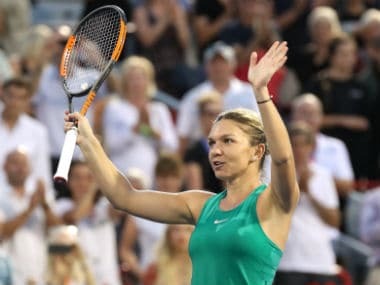 Montreal: World number one Simona Halep punched her ticket to the semi-finals of the WTA Canada tournament for the fourth straight year, cruising past France's Caroline Garcia 7-5, 6-1 on Friday. Halep moves on to the final four where she will face Aussie Ashleigh Barty, who ousted giant-killer Kiki Bertens of the Netherlands in straight sets 6-3, 6-1. Stephens will face defending champion Elina Svitolina, who came back from a 0-4 deficit in the first set to eliminate Elise Mertens 7-5, 6-3.